Participating in today’s “Five On the Hour: Stand for Freedom of Speech,” I’m posting the statements I prepared for my two classes. In practice, I ended up improvising. 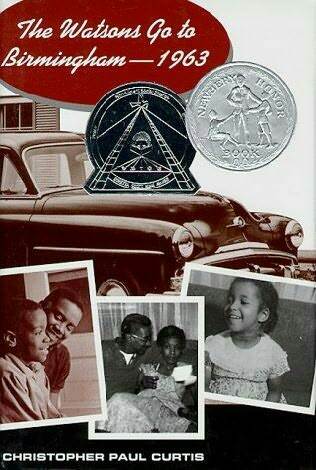 During my first class (English 725: African American Children’s Literature), I realized that I should have started with the connection to the class and then moved out to the Kansas Board of Regents, and so I began re-structuring things on the fly. During my second class, I was much looser, using the statement only as a broad guideline — I began with the connection to the work we were reading (The Watsons Go to Birmingham — 1963), and then moved out to the Regents’ repressive social media policy. So. What you see below is not what I read in each class. They’re what I planned to read. I’m going to take the next five minutes to say a few words about Freedom of Speech, and why it’s important in higher education in general and in African American Children’s Literature in particular. Back in December, as you were taking exams, faculty were grading exams, and everyone was preparing to leave town, the Kansas Board of Regents imposed a new social media policy, which they passed over the objections of all faculty, students and administration present at their meeting. The policy says all speech expressed through social media (Facebook, Twitter, blog, any website, email) can be grounds for firing. Employees (faculty, staff, student employees) may not say anything that’s “contrary to the best interest of the university,” nor may they utter something that “impairs discipline by superiors or harmony among co-workers.” Those terms are so broad as to encompass any speech. As many have noted, this policy creates a repressive climate for the free exchange of ideas — which is at the heart of what we do at a university. The university is a community of scholars. We discover new knowledge and create new ideas. These ideas are different than what has come before, and difference can be controversial. Indeed, sometimes our ideas challenge social mores. To test our ideas, we debate them, refine them, change them. This process of creation and discovery — evaluated through open and unfettered dialogue — is the means by which our civilization progresses. And the only environment under which this process can occur is an environment of free speech. There are of course many examples from African American Children’s Literature. As Robin Bernstein has shown us, until relatively recently the notion that children of color can feel just as acutely as white children can feel was not part of the dominant culture in the U.S. Topsy, the Golliwog, and their many descendants propagated the lie that African American children were thicker-skinned and less human than white children. And thus, the notion that black children would deserve a literature that spoke to their experiences was also not an accepted truth. Once, people accepted these ideas as true. But then other people challenged these ideas. We — well, a majority of Americans, at any rate — now regard the notion that African American children would be any less human than white children to be absurd, racist, nonsense. And, though the publishing industry has much work yet to do, there are now books that address the many experiences of growing up black, Latino/a, Native American, or Asian American in the U.S. But to recognize the foolishness in established “truths” about childhood and children’s literature, we need the freedom to question those “truths.” We need freedom of speech. So, even though the Regents announced their policy when people were least likely to notice, it did not slip by unnoticed. From across the state, across the country, and across the world people condemned it. Our own local paper, The Manhattan Mercury, called the policy “an anti-free speech manifesto that sounds like a pronouncement from the government of a banana republic.” Our student government has called for its suspension, as has KU’s, as have student governments across the state. All faculty senates have spoken against it. All university presidents have, too. In response, the Regents then appointed a workgroup of representatives from all Regents campuses to revise their policy. The workgroup crafted a model policy that offers guidelines for speech, but respects the right to freedom of speech. Were the regents to follow the advice that they solicited, Kansas — for a change — could be in the news for doing something thoughtful, even admirable. Yet, at the Regents’ meeting last week, they signaled that they would retain the original policy, but add some of the workgroup’s language affirming freedom of speech. So, in May, I expect they will announce their new, “compromise” policy, which both threatens freedom of speech and yet alleges to uphold it. Questions of freedom of speech are frequently a concern of children’s literature: most of the books on the ALA’s annual banned books list are books for children or adolescents. Many of the books we have read this semester raise, quite explicitly, the question of what’s appropriate for children. For most of its history, America has been a white supremacist police state. 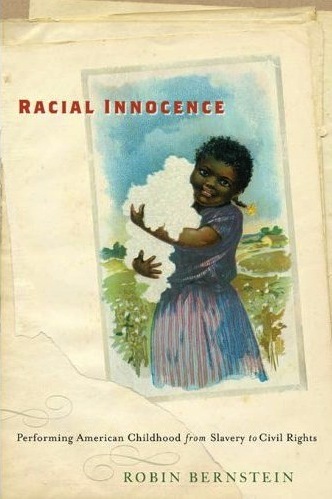 Implicitly and explicitly, African American children’s literature confronts facts about America that most Americans prefer not to think about. So, here are some resources where you can learn more about this issue. Fred Logan, Chair of Board of Regents (and co-author of Current Social Media Policy). Breeze Richardson, Associate Director of Communications & Government Relations, Kansas Board of Regents. The Board of Regents will probably vote on this at their May 14th meeting. The workgroup presented the revised policy at the April 16th meeting. I’m going to take the next five minutes to say a few words about Freedom of Speech, and why it’s important in higher education in general and children’s literature in particular. 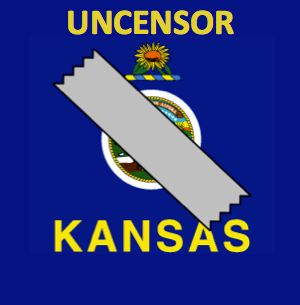 Back in December, as you were taking exams, faculty were grading exams, and everyone was preparing to leave town, the Kansas Board of Regents imposed a new social media policy, which they passed over the objections of all faculty, students and administration present at their meeting. Here’s an example. Earlier in the term, I told you that the notion that children deserve their own literature is a relatively recent one. And that, a hundred years ago, experts argued that women should not be allowed to attend college because it would make them infertile (all that blood going to the brain would deprive the womb of blood, you see). Once, people accepted these ideas as true. But then other people challenged these ideas. Now, we recognize that children, cognitively, are different than adults, and indeed that “children” itself is a very broad category: children at nine tend to have more developed cognitive abilities than children at three. Now, we recognize that women can learn without becoming infertile. Indeed, we regard these earlier ideas as laughable. Ridiculous. But to recognize the foolishness in established “truths,” we need the freedom to question those “truths.” We need freedom of speech. Questions of freedom of speech are frequently a concern of children’s literature: most of the books on the ALA’s annual banned books list are books for children or adolescents. The book we are reading right now — Christopher Paul Curtis’s The Watsons Go to Birmingham — 1963 — raises, quite explicitly, the question of what’s appropriate for children. The Watson children cope with the trauma inflicted by racist white terrorists who kill black children. This is serious stuff. And it’s an award-winning children’s book.